A sample of clients just like you who benefit from our deep experience in enterprise construction program management. AHT USA supports customers in the food retailing industry including: supermarkets, discounters, wholesalers, c-stores, and more. Alamo Drafthouse was founded in Austin, TX in 1997 and was built to celebrate great movies, cold beer, and delicious snacks. APAI is well known for quality, integrity, and a vision to uphold environmental stewardship and technical excellence. Aldine ISD is an Independent School District covering 111 square miles in Harris County, Texas. Andeavor is a premier, highly integrated marketing, logistics and refining company managing brands such as Shell & Exxon. Barnes & Noble College Booksellers, LLC is a leading bookstore operator for colleges and universities in the United States. Bealls Outlet focuses on providing customers with an every day low price policy with an emphasis on branded merchandise. Did you know that Benihana was named after a flower? Benihana in the Japanese language is 紅花, which translates to "safflower". Best Buy is a leading global retailer and developer of technology products striving to provide customers with superior experiences. As a community gathering place, Casey's features a pizza parlor, bakery, gas station, and a mom-and-pop shop. CHI is the third-largest nonprofit health system in the nation offering expertise, convenience, resources and best-in-class care. CDR is focused on ownership, operation and redevelopment of grocery-anchored shopping centers in high density urban markets. Enid is the largest retail trade center in the area, serving 200,000+ customers in Northwest Oklahoma & Southwest Kansas. The City of Newport News is a community of diverse trades including shipbuilding and technological research. The City of St. Joseph is the sixth largest city in Missouri & the central service provider for a seven-county area in Missouri and Kansas. Founded in 1849, the City of Waco holds a rich variety of cultural experiences, economic opportunity, and Texas history. Collin College is a public community college district serving the Collin and Rockwall counties in North Texas. Conn's is a retailer store chain specializing in electronics and appliances, dedicating their business to the value of their consumers. Conroe ISD is one of the fastest growing school districts in Texas, averaging an enrollment growth of 1,500 students per year. Core States Group is a recognized engineering, architecture, and project management firm providing total integrated services. Crate&Barrel has over 105 stores coast to coast featuring contemporary housewares and furnishings for the home. DEI specializes in structural design and analysis, facilities engineering, forensic engineering, and project management. DivyaSree is a leading commercial property developer in South India. They always strive to deliver world-class building infrastructure. The Ensign Group, Inc. provides skilled nursing and rehabilitative services for long-term and short-stay rehabilitation patients. Eyemart Express helps millions improve their vision in over 30 states with an emphasis on providing attractive eyewear. The Fairfield team of professionals of over 1,800 employees specialize in property management, acquisitions, and construction. FieldTurf is the inventor and world leader of infilled artificial turf with over 20,000 installations worldwide. Filson provides hunters and anglers, engineers and explorer, mariners, and miners with sturdy, comfortable outdoor clothing. F&D maintains a philosophy that recognizes their dedication to customer service and the communities in which they operate. Fogo de Chão is a fine dining, full-service Brazilian steakhouse operating locations within Brazil and across the United States. Gannett Fleming is an global infrastructure firm providing international planning, design, and construction management. H-E-B operates more than 380 stores in Texas and Mexico & strives to provide the best customer experience at everyday low prices. As a division of Hilton Worldwide, Hilton Grand Vacations Company, LLC, is recognized as the leading global hospitality company. With over 30 years in hospitality, InterMountain is a well-known developer for select-service and extended-stay hotel chains. Jacobsen|Daniels specializes in transportation planning, community planning, professional and construction support service needs. JDA is a multi-division real estate developer, managing industrial, multifamily, self-storage, and commercial properties. The Kalispel Tribal Economic Authority is dedicated to the development & hospitality operations of the Kalispel Tribe of Indians. Knotel has 60+ locations across New York, San Francisco, London, and Berlin, spanning over 1 million square feet in offices spaces. Kum&Go prides itself on its dedication to the health & happiness of the communities that it serves while maintaining excellent service. Groupe Le Duff currently owns and operates over 600 restaurants globally, with six restaurant brands and three bakery units. Lidl Stiftung & Co. KG is one of Europe's premier supermarket chains, operating more than 10,000 stores in over 20 countries. Lone Star College is the largest institution in the Houston area and one of the fastest-growing community colleges in the nation. "Clean Places, Friendly faces" has been the guiding principle of Love's for more than 50 years, and it's leading them into the future. Main Event is a Dallas, TX based company known for its state-of-the-art bowling, food & drinks, and family-friendly setting. Since 1963, Mary Kay has offered beauty products that meet the highest standards of safety, quality, and performance. Originally founded as a grocery store, Meijer has grown to include a mix of supercenters, grocery stores, gas stations, and C-stops. Merritt Properties owns and manages the largest privately held commercial real estate portfolio in the Baltimore/Washington region. Midland Memorial is a nonprofit, community owned hospital serving nearly 22,000 people residing in Midland County, Texas. Milwaukee Area Technical Collegeis a public two-year college offering exceptional education to their diverse metropolitan area. Montclair State University has prepared thousands of students for a lifetime of professional and personal success. Since 1981, Morningstar has developed, acquired and operated over 170 self-storage properties across the country. Nando's is an international casual dining restaurant chain widely known for its signature peri-peri chicken dishes. The National Guard has a unique dual mission that consists of both Federal and State roles. Both the Army and Air Force are branches. The NTMWD provides essential water, wastewater, and solid waste disposal services throughout the state of Texas. Petco is a leading pet specialty retailer that provides the products, services, and advice for customers to be great pet parents. QuikTrip is a Tulsa-based chain of convenience stores which primarily operates in the Midwestern and Southern United States. 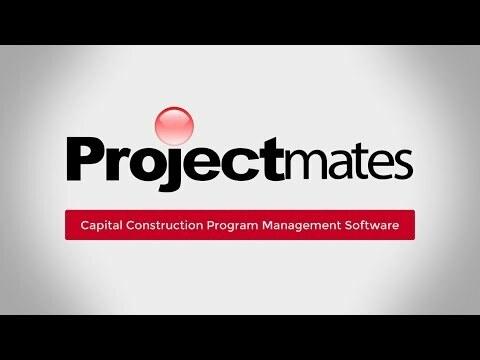 RaceTrac, a leader in retail gasoline convenience stores, leverages Projectmates for its rapid expansion campaign. Reading Hospital is nationally recognized as a flagship institution serving the local community of Reading, PA since 1867. RJP Consulting Group has managed construction projects for an incredible variety of clients across the United States. Sheldon ISD prides itself in its ongoing strategic plan to improve its many schools' well-being and educational opportunities. Shinola is an American luxury lifestyle brand that specializes in watches, bicycles, jewelry, and leather goods among other items. Simply Self Storage is one of the largest privately owned self-storage management companies in the U.S. and Puerto Rico. Store Opening Solutions provides national retailers with scalable solutions for new store openings, remodels, resets, and rollouts. Source Refrigeration's expertise is in designing, installing, servicing and optimizing refrigeration & HVAC systems. Idaho provides quality, dynamic services to its state agencies, businesses, and citizens by promoting effective professional practices. Stem creates innovative technology services that transform the way energy is distributed and consumed. Stony Brook Medicine represents the university's medical enterprise and integrates Stony Brook's health-related initiatives. Operating over 170 locations across the East Coast of the United States, The Fresh Market brings a fresh take on grocery shopping. Since 1997, Trilogy has been dedicated to providing exceptional, comprehensive care to its seniors in every community they serve. Trinity Group focuses on development in Urban Mixed-Use Centres, Community Centres, and Large Format Centres. The Trinity River Authority of Texas is a conservation and reclamation district providing water and waste water treatment. Tuesday Morning is an upscale, deep discount retailer specializing in closeout home goods at incredible prices. UNC Health Care is a not-for-profit system, which exists to further UNC's teaching mission as well as providing patient care. U.S. Cellular is the sixth-largest wireless service provider in the United States with more than 5.8 million customers in 26 states. USD's mission is to safely collect and treat wastewater for Tri-Cities while protecting human health & improving the environment. VLK Architects designs exemplary learning environments, innovative structures and sustainable communities for tomorrow.